Thank you Goldfish® Crackers for sponsoring this post. I’m excited to be working with them over the next year in a series of #GOLDFISHCROWD posts. Look for a whole lot of HAPPY coming your way. The great thing about kids these days is that they are accustom to using lunch boxes, sandwich containers, and reusable water bottles. They are way more environmentally friendly than we were that is for sure. Where we have struggled (as parents) is that the snack bags situation. The ones we’ve used get pretty dirty after just a few uses, and definitely not easy wash out. So, we decided to make them ourselves. 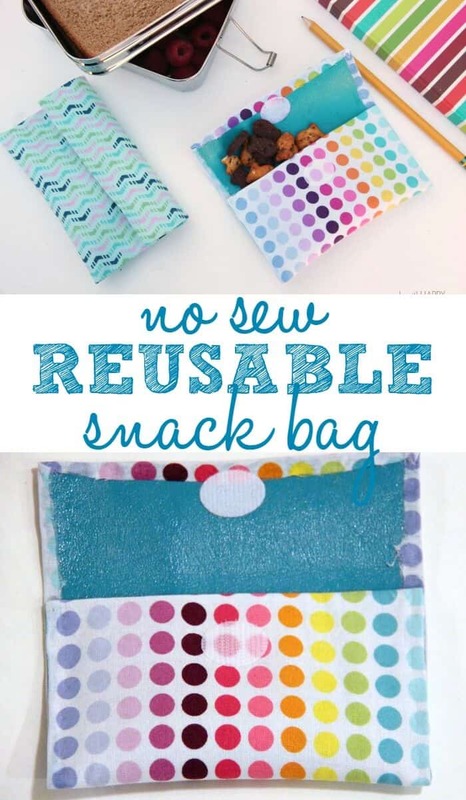 We’ve put together these no sew reusable snack bags that you can make at home with the kids. Here’s how you do it. 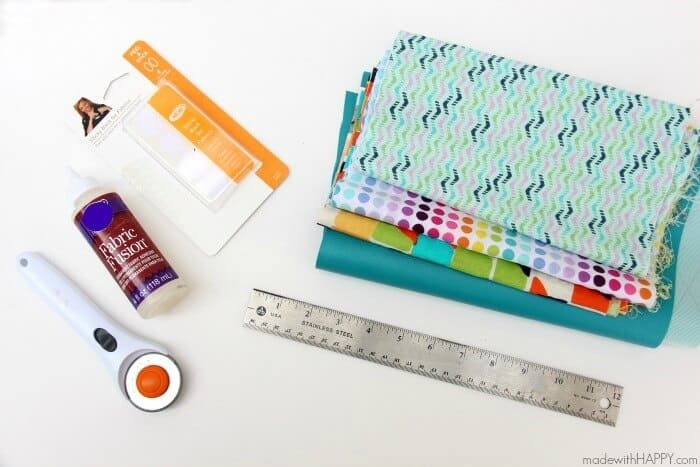 First start out by cutting your cotton fabric into a small rectangle. 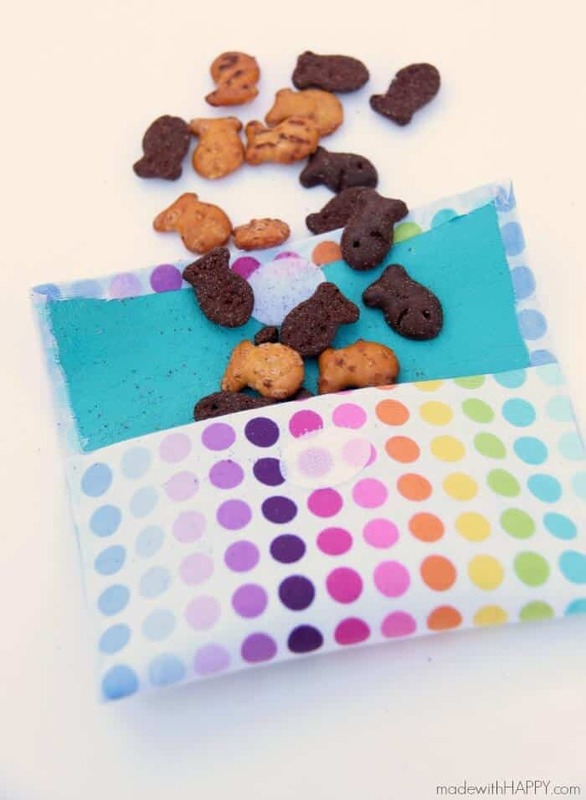 For the size snack bag we made, I cut the fabric into a 9 inch by 6 inch rectangle. Next you are going to cut your vinyl fabric into a rectangle. I cut the vinyl approximately 2 centimeters small both length and width wise for gluing. Its up to you, but you want your vinyl piece smaller than your cotton piece. Next, you are going to glue your cotton and vinyl pieces together. For reference, you will have your cotton piece down with the pattern on the table. Next you are going to set your vinyl piece on top of the cotton fabric, with the vinyl side facing up. So the back side of each of the pieces should be together. 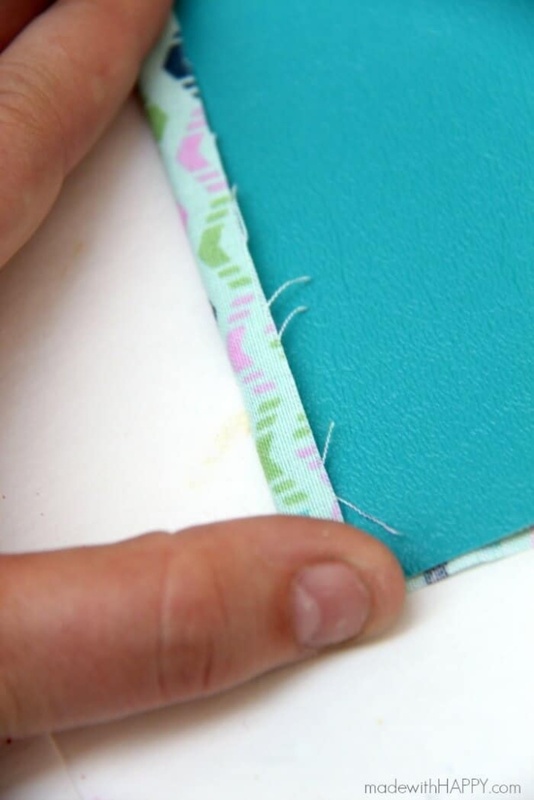 Squeeze a line of glue along the outside piece of the cotton fabric and glue to the top of the vinyl piece. Like above. 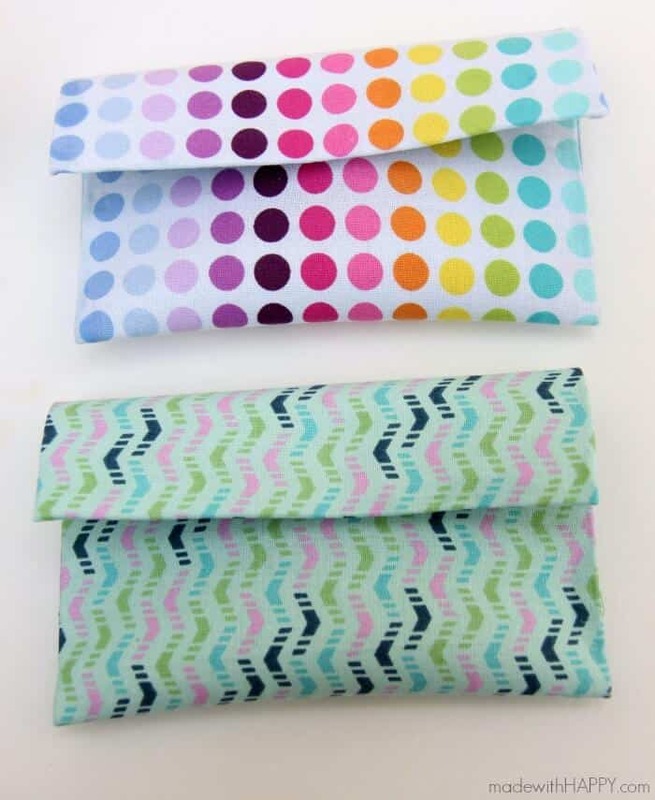 You will want to fold the corners like you are wrapping a present or something flat. Let that piece dry for about an hour. 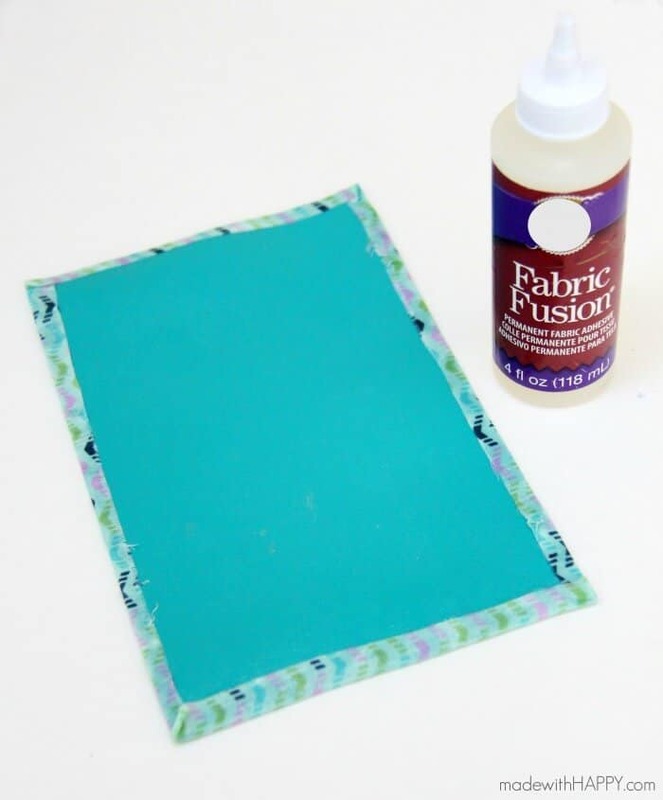 While your fabric might not be fully dried after an hour, it is hardened enough for you to now glue and fold the bottom fold. 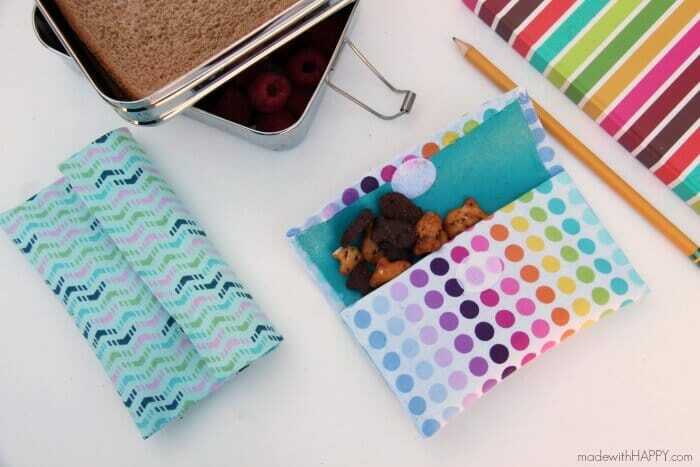 Remember you are only gluing the sides of the pouch together. I folded the bottom piece up approximately 3 inches for reference. Then using clothes pins or any clamps you have, clamp the sides together and let dry overnight. 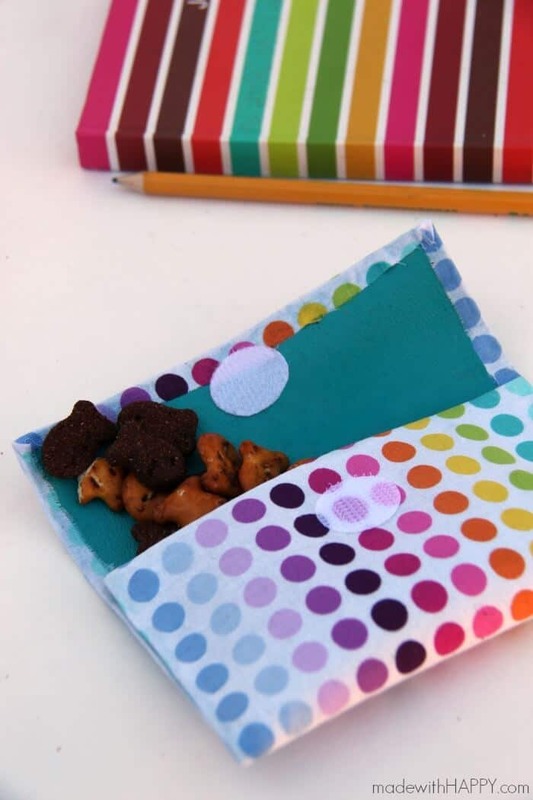 From here, you add your velcro and voila, you have yourself the cutest little snack bags that you can wipe clean. They are the perfect size for a single serving. 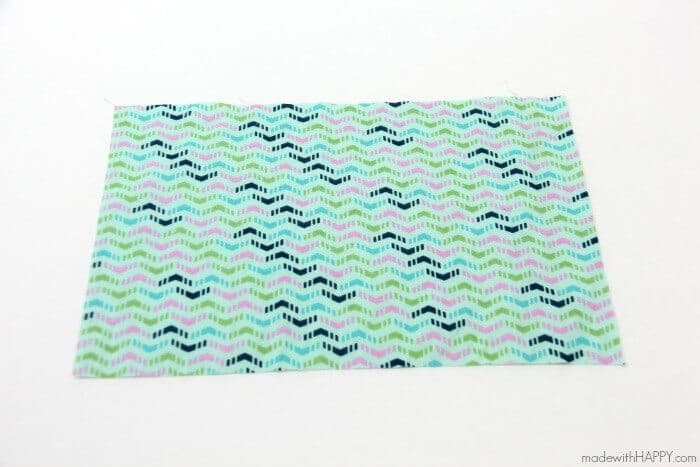 Your kids (or yourself) can pick out their favorite fabric and you can make quite a few out of just a small piece of fabric. Did you know Goldfish snacks has a #GoldfishTalesPromotion going on? Now through 4/30 you can create a photo or video that shows off Goldfish crackers in an art theme via Twitter or Instagram with the hashtag #GoldfishTalesPromotion to enter. Posts using #GoldfishTalesPromotion may appear in the gallery on GoldfishSmiles.com. No Purchase Necessary. Open only to 50 US/DC residents 18+. Ends 4/30/16. Official rules and more at www.GoldfishSmiles.com. Void where prohibited. I wash them by hand. The glue is washable. Hi, great idea! What type of vinyl did you use? Hello, love these because I don’t know how to sew. If you want to make them in different sizes do you just follow the same directions? 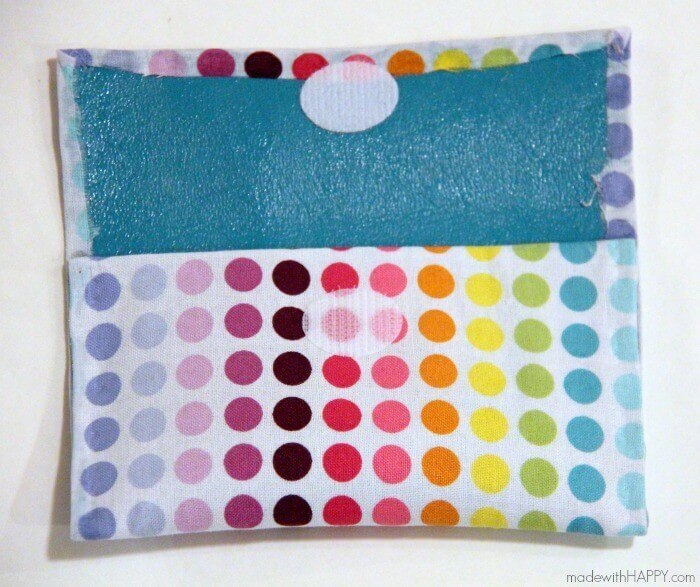 With the fabric you use can you have a sandwich or cold items in them or should you use a different kind of fabric? Yes, you can make these any size using the same process. 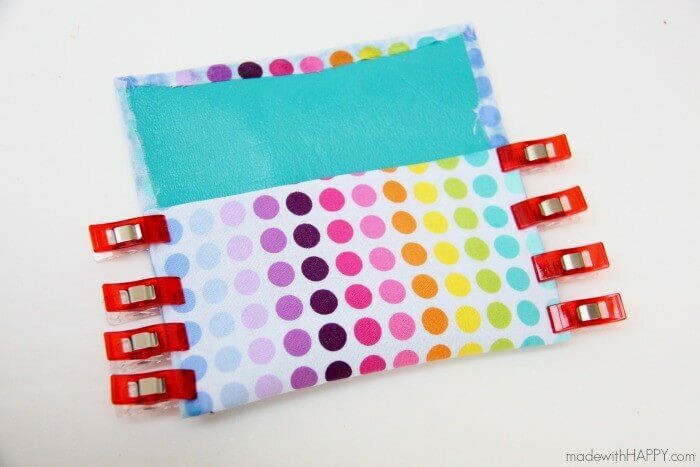 You certainly can use different fabrics too.